RED SKY JULY: Red Sky July are husband and wife duo Ally Mcerlaine (Texas) and Shelly Poole (Alisha’s Attic) along with esteemed vocalist Hayley Glennie-Smith. 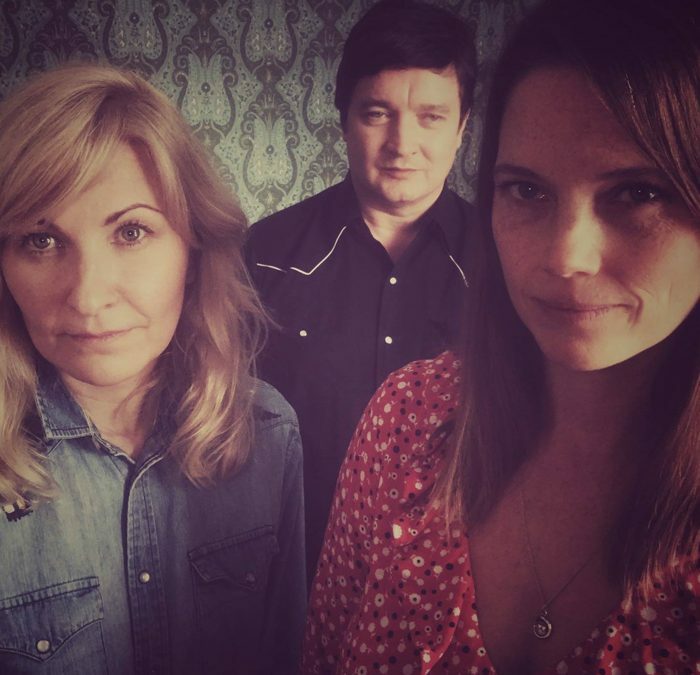 Red Sky July’s sound is a hazy blend of Alt-Folk and Americana and they have been added to the playlist on BBC Radio 2 as well as appearing on a whole host of radio and TV slots. The band have supported artists such as; Sheryl Crow, Steve Earle, 10CC, Tom Jones, Beth Nielsen Chapman and Jools Holland. Festivals they have performed at include Glastonbury, Isle of Wight and T in the Park. Red Sky July released their third album ‘The Truth and The Lie’ in 2016. Recorded in their own studio, the band were joined by Grammy nominated, Nashville based singer songwriter Beth Nielsen Chapman (Elton John, Neil Diamond, Willie Nelson). On release, the album debuted in the top 3 of the Official UK Country Charts and garnered rave reviews and airplay. Renowned for Sound heralded it as “a modern country masterpiece.” The album has received critical acclaim across the board from the likes of The Guardian, Maverick Magazine, Guitarist, Daily Express, R2 and BBC Radio 2 to name but a few. The band have performed twice at the prestigious C2C Festival London and joined James as part of BBC Scotland ‘Quay Sessions’. Jools Holland invited them to appear as special guests at both the Montrose Music Festival and Somerset Rocks. In December 2017 they released the single ‘Him And Christmas’ which was quickly picked up by Graham Norton and played on his BBC Radio 2 Show. Red Sky July recently performed at DIVA Music Festival as well as playing a sold out headline show at The Green Note, London. The band are currently in the studio recording a brand new album.